Simi or should we say Mrs. Adekunle Gold is arguably the best female vocalist around here. OK, maybe we can’t just say she’s the best, but it shouldn’t cause any argument when I say she’s one of the bests, in Nigeria, Africa, anywhere. The beautiful singer, formerly Simisola Bolatito Ogunleye is currently on a honeymoon with her husband in South Africa. You heard it right. Plus they just recently released a song, ‘Promise‘ to commemorate their marital union. Her voice is magical, and she’s our Beyonce, or maybe it’s RiRi? Whichever. She’s been consistently giving us hits, and proving to us that she’s in fact, a very talented artist. And, since 2014 till date, she’s been on a roll. But then Simi’s always been a whiz kid (pun intended, maybe), writing songs from a tender age. Now, it’s paying off. 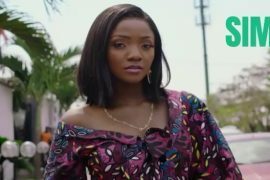 In this edition of Mp3bullet’s “Facts You Don’t Know” series, here are seven things I think you probably don’t know about the songstress, Simi. Let’s get at it real quick! Simi broke out in 2014, but a couple years before that, she was popular. Only that she was a young gospel singer then. In 2008, she dropped an album “Ogaju,” and her single “Ara Ile” became an instant hit. You probably heard the song “Ara Ile” then, you can still remember how tiny the voice of the girl singing it was? Well, that was Simi. She was actually 20, then. Don’t think it too much, Simisola, is a real Lagos girl. No wonder she understands the Owanbe thing. Born in Ojuelegba (did your mind say Wizkid, just now? ), she also had her secondary Education, somewhere in Ikorodu. Covenant is renowned to be one of the universities in Nigeria, with the strictest policies. But why are the best vocalists always from Covenant, tho? Bez, Ric Hassani, Nonso, and yeah… Simi! 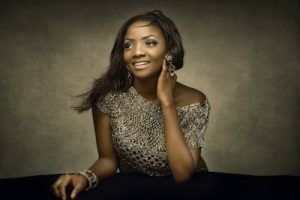 Simi graduated from the Living Faith Church-owned Covenant University, with a degree in Mass Communication. She too go school oh. Not all artists in this industry can boast of five Headies plaques. Artists like Burna boy, Yung6ix, Lil Kesh, don’t even have one. But you’ll be surprised that the slim babe, Simi has five! In 2015, she won two, of which one (Best Collabo) was for the remix of “Jamb Question,” which featured Falz. She’s gone on to win three more. She’s also won 3 City People Awards, 1 AFRIMA, and 1 NEA. Simi’s got the recognition, after all. When her sophomore album, “Simisola” arrived September, last year, it quickly raked in the numbers. And it debuted on number five of the Billboard World Albums Chart. Some other Nigerian artists that have go that close? Wizkid, Olamide, Reminisce. Simi has been signed to X3M Music, since God knows when. And her album “Simisola” was released under the imprint. 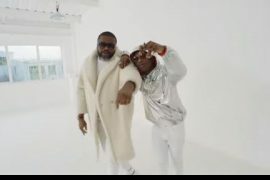 But probably ’cause X3M isn’t like YBNL or Mavins, where artists are steady repping the label and doing collabos together, a lot of people don’t really know she’s label mate with popular “Rich & Famous” singer, Praiz. Now, it’s Stew. But there really was a time when Chemistry was Trending, seriously. At that time, there were speculations that Simi was in a romantic relationship with frequent collaborator, Falz. They dropped a joint EP, in October 2016 called “Chemistry,” and it was all over the place. She’s gone on to have a good chemistry with Adekunle Gold, too. And at a time we were wondering, who was really dating the singer? It’s actually none of our business. Thank God, it’s been clarified now. We can even say the winner is….ADEKUNLE GOLD. The duo left Nigerians panting for their wedding pictures as they kept their words as regards having a secret wedding with only 300 people in attendance. Phew! I wonder how they did it. There are rumours that the singer is currently expecting her first child with Gold, and so the reason for their quiet wedding. However, they are just speculations that are yet to be confirmed. It’s not every day, you see a female artist that doubles up as a producer or sound engineer. Simi is a sound engineer, though, and she’s been recognized for her works on Adekunle Gold’s “About 30” album, which she mixed and mastered. Simi’s a Queen, too. Right?